If you are NEW to this process, please read our meeting room policy below, and then click the “reserve” button at the bottom to apply online or check availability. If you are familiar with our policy and procedures, please click here. 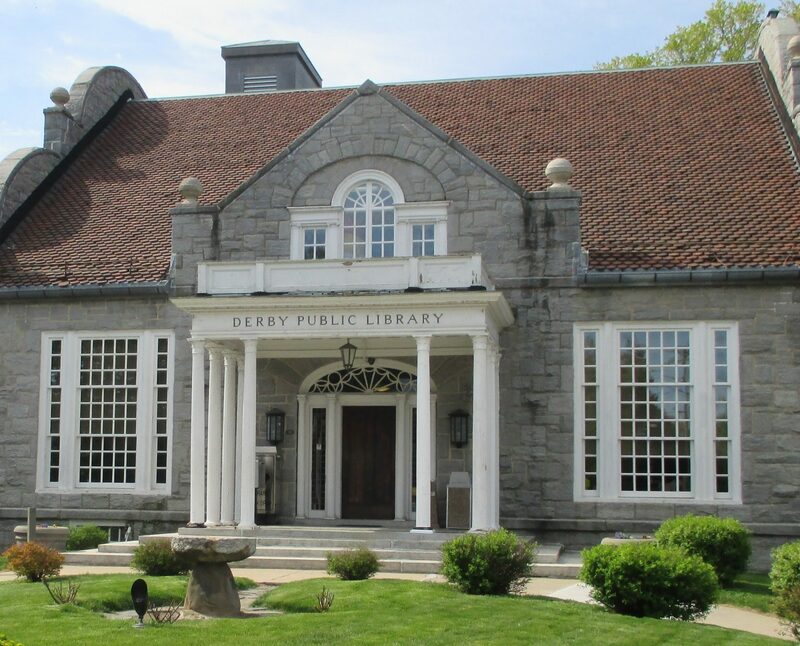 The Derby Public Library Board of Directors views the use of meeting rooms as an extension of its mission to serve the community’s access to information and public discourse. 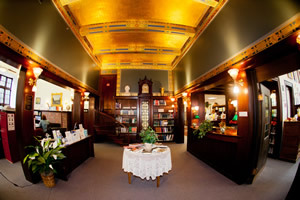 Thus the Derby Public Library (“the Library”) maintains the meeting rooms as suitable settings in which to hold its programs and activities, as well as the programs and activities of The Friends of the Library. Meetings must end by the time the Library closes. Groups using the rooms must complete clean up by closing time. The Library Board of Directors views the use of its meeting rooms by outside groups as an extension of library service to the community. Meeting rooms are available for both non-profit and for-profit groups devoted to educational, cultural and civic activities or activities of general community interest and serve the Derby area. Room availability will be considered regardless of the beliefs, affiliations or viewpoints of a requesting group’s individual members. However, neither the Board nor the City of Derby advocate or endorse the beliefs or purposes of the groups given permission to use the meeting facilities. This position of non-endorsement is to be clearly stated in all publicity for the meeting, including oral pronouncements and printed literature. The Library’s meeting rooms may be used by groups pursuing educational, informational, cultural, civic, recreational, professional, and service goals. Derby for-profit businesses may use the facilities for internal business meetings. The Library’s meeting rooms may not be used for partisan political rallies; commercial or sales programs; or private social events such as birthday and anniversary parties, showers, receptions, reunions, etc. The Board of Directors will deny a reservation for meeting space should they deem the activity to be inappropriate for a public building. Qualified not-for-profit groups may use the meeting rooms free-of-charge. Qualified for-profit businesses may use the meeting facilities upon payment of a rental fee of $100.00 per use for a period over four (4) hours. Or a fee of fifty ($50.00) dollars for four (4) hours or less. Fees must be paid prior to use of the room. Checks should be made payable to the Derby Public Library. Groups can book the Meeting Room and the Multi-purpose Room six (6) times per calendar year (January-December) to ensure availability to others. Exceptions may be made only with the permission of the Library Director or his/her designee. Applications for use of a meeting room must be filed at least seven (7) business days prior to the scheduled activity. Applying organizations will agree to hold the Library Board of Directors and the City of Derby, including their employees or agents, harmless from any liability for the loss, theft, or damage to property of any group or individual using the Libraries’ meeting rooms or kitchen facilities, and in addition assume no responsibility for injury to individuals while on library premises. The applicant will be responsible for loss or damage resulting from room use. Compensation for such loss or damage must be made promptly upon billing. Whereas, the Library is agreeable to giving access to said premises for the event provided that the Derby Public Library and the City of Derby are held harmless and indemnified on account of any damages sustained to the premises or its personal property or personal injuries sustained by the Lessor and their guests upon such access. Certificate of Liability Insurance and proof of not-for-profit status will be required for groups meeting at the Library. In order to reserve a meeting room, a representative of the requesting group must complete the library’s Application for Use of a Meeting Room and present a check for any applicable usage fee. 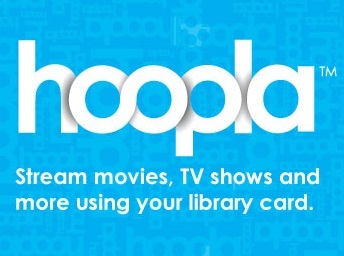 Submitting the application, which is available online, signifies the group’s agreement to comply with the terms and conditions of the Library’s meeting room policy and that the authorized representative will assume liability for damage to or loss of Library property while on the premises. Applications must be completed by a representative at least 18 years of age. A copy of this policy will be given to the group’s representative. Room reservations are not taken in person, over the telephone or via email. A maximum of two tentative reservations may be made. These reservations will be held for five (5) business days only, after which the times become available to other organizations. There is no automatic carryover of scheduled times or equipment by a group to a succeeding calendar year, but a reasonable effort will be made to maintain previous time slots, overall scheduling permitting. Once the Library Director or his/her designee reviews your request, you will receive an email confirmation from EventKeeper’s Room Request. The room is not reserved until you receive this acknowledgement and submit the required fee. Groups that decide to cancel their use of a meeting room must notify the Library at least three (3) business days prior to their scheduled use in order to receive a refund of their usage fee (if applicable). The sole exception to this rule is inclement weather: in case of inclement weather, a group representative should contact the Library on the day of the meeting to check on a possible early closing. The Library, acting through its Board of Directors and/or its Director, reserves the right to accept or reject any application for the use of its meeting rooms. Prior notification of the Library Director is requested if the news media is invited to or will be present at any event. Maximum capacity, per order of the fire marshal is required. Paying for any damage or loss to Library property (as assessed by the City of Derby) resulting from their use. Groups requiring audio-visual equipment – the user must be thoroughly trained in advance and will be held responsible for any damage to hardware or software. Meetings must not interfere with the normal operations of the staff or with the quiet enjoyment of the Library by patrons. Attendees at all meetings are expected to comply with the Library‘s Patron Code of Conduct and Young Adult Policies. Further, groups using the rooms are responsible for supervising their meetings to ensure that attendees adhere to these policies. Groups of children under the age of eighteen (18) may use the meeting rooms only with adult supervision. As a rule, the library will require at least one (1) adult supervisor age twenty-one (21) or older for every ten (10) children. Children of meeting participants may not be left unsupervised in other areas of the Library. For safety and security reasons, individuals associated with the group are not allowed to wander around the Library while the group’s activities are underway. Use of the Library meeting rooms may be subject to cancellation due to inclement weather conditions or any other situation not known at time of scheduling. This decision will be made by the Library Director or his/her designee. No meeting facility or other area within the Library will be used for commercial or pecuniary activity, such as marketing, buying, and selling of items and services to the public, gambling or the exchange of money, with the exception of the Friends of the Library, a 501(c)(3) organization, unless authorized by the Library Director. Fundraising activities are not permitted, nor are solicitations from an event’s participants or audience, unless authorized by the Board. Solicitations not connected to events, within Library buildings or grounds, are not permitted without the approval of the Library Director. Alcoholic beverages, vaping, smoking, illegal abusive substances, and/or the use of sterno candles or other combustible materials. The adjoining kitchen and its equipment to serve beverages and light refreshments. They must leave the kitchen in a clean and orderly condition upon exiting. Trash should be placed into tied trash bags and left in the kitchen for the custodian to remove. The Library’s tables, chairs, and lectern. Other supplies and equipment required are the sole responsibility of the group. The library’s piano. Should a group wish to have the piano specially-tuned for its event, it must pay for such tuning and it must use the library’s piano tuner. Storage of items owned by a group or its members before or after a meeting is not permitted. Neither the Library nor the City of Derby assumes responsibility for personal items left on the premises before or after a meeting. Permission to use the meeting rooms means floor space only. Groups may not affix items to the walls, tack boards, etc. Artwork on display may not be moved or altered. No group may charge admission fees at their functions held in a Library meeting room. They may, however, make normal collections of dues from their own members. Groups that fail to comply with these rules means permanent revocation of the group’s room privileges. Room use may also be denied to groups that cancel without notification twice within a twelve (12) month period. The Derby Public Library is a municipal building of the City of Derby. As such, it complies with all the rules and regulations of the city. N.B. Both meeting room facilities meet the qualifications of the Americans with Disabilities Act (A.D.A.). The Library Board of Directors authorizes the Library Director to act in keeping with this policy and to execute its provisions on behalf of the library and the City of Derby. The Library Board of Directors reserves the right to make exceptions to the provisions of this policy. In addition, the Library Board reserves the right to amend this policy from time to time, as it deems appropriate and in response to changing conditions. This policy and the implementation guidelines are subjected to continuous review and may be amended by the Board. ONLINE ROOM USE REQUESTS WILL NOT APPEAR ON THE LIBRARY EVENT CALENDAR. IF YOU WISH TO PRESENT YOUR NON-PROFIT EVENT AS A LIBRARY PROGRAM WITH PUBLICITY ORIGINATING FROM THE LIBRARY, YOU MUST CONTACT THE ADULT SERVICES LIBRARIAN FOR APPROVAL AND TO COORDINATE A MUTUALLY ACCEPTABLE DATE AND TIME FOR YOUR EVENT. For a full listing of the Derby Public Library policies, please visit Library Policies.